It will come as no surprise that nearly 75% of Americans are dealing with anxiety on some level when it comes to a visit to the dentist. Unfortunately, many of these patients will avoid crucial dental work because of their anxiety. The patient’s overall oral health can be severely impacted, and in the long run, this usually leads to more dental pain and the need for more expensive procedures. At Morgan Dental Care, we want you to know that your dental phobia can be pleasantly and easily resolved. It is not necessary to avoid the dental work that you need! To help you enjoy a stress-free appointment, we offer two levels of sedation dentistry. Depending on your specific needs, we can administer nitrous oxide or oral conscious sedation. A consultation with our dental office staff will help determine which level of sedation is right for you. Why Choose Morgan-Hill Dental Care for Sedation Dentistry? All levels of sedation dentistry have been used safely by thousands of patients across America. Each level of sedation dentistry involves the administering of safe medications that help you to relax and avoid discomfort throughout the procedure. During a consultation, we will review your medical history and consider any medications that you are currently taking so that we can choose the most appropriate sedation level for you. Patients suffering from strong dental anxiety. Patients who have been impacted by previous negative experiences at a dentist’s office. Patients who struggle to gain complete numbness for procedures. 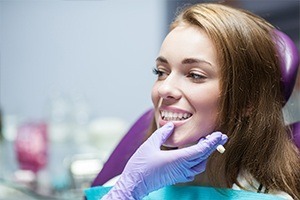 Patients who find it necessary to receive multiple dental procedures in one appointment. If you think sedation dentistry may be for you, call Morgan-Hill Dental Care to schedule a consultation today. Nitrous Oxide is the most common sedation method. It is regularly called “laughing gas”. You will breath nitrous oxide through a special mask. The nitrous oxide will soothe you and remove your anxiety. The effects of this gas will disappear as soon as your mask is removed. Conscious Sedation involves the administering of an oral sedative just before the procedure is commenced. The sedative will make you feel “drowsy” and relaxed. During the procedure, you will be completely relaxed but always conscious and able to communicate with those around you. Once your procedure is completed and the effects of the sedation have worn off, you will have little or no memory of the procedure. You will need to bring someone with you to drive you home. (207) 839-2655 94 Main St.